The first North American TTXGP round is this weekend, piggybacking off AMA Pro Racing’s stop at Infineon RacewaySears Point. Lightning has been quietly putting in impressive lap times this year. 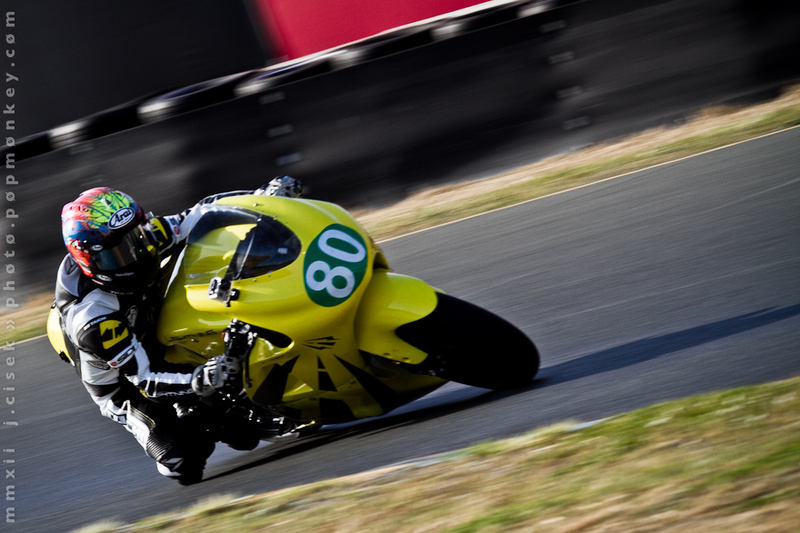 On the #80 bike is veteran Banana rider Michael Barnes, whose 1’47 lap times would place him in the back third of the AMA Supersport class this weekend. Meanwhile on the #89 bike is WERA top-man Tim Hunt, who has had the dubious task of learning Sears Point on a 240hp machine. Hunt’s times have been seven to eight seconds off Barnes, though were ahead of Rapp’s before his crash. While Lightning has shown considerably more polish than in past rounds, the team has had its own setbacks with reliability, including one incident which saw the chain adjuster bolts on the Lightning Mk. II sheer apart, dropping the chain off the sprocket, and locking up the rear wheel of Barney’s bike. 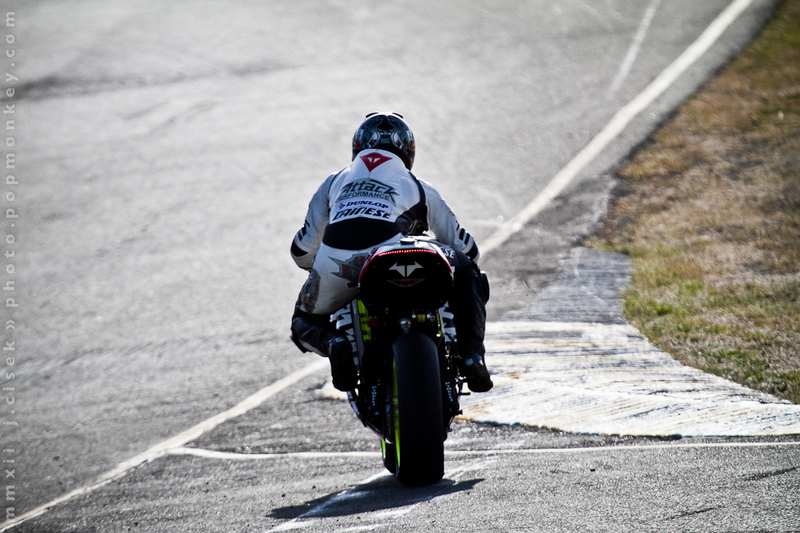 Barnes was not pleased with this, but fared better than the two Steve’s on-board the 2012 Brammo Empulse RR. With the grid initially comprised of one Brammo Empulse RR, two Lightning Mk. 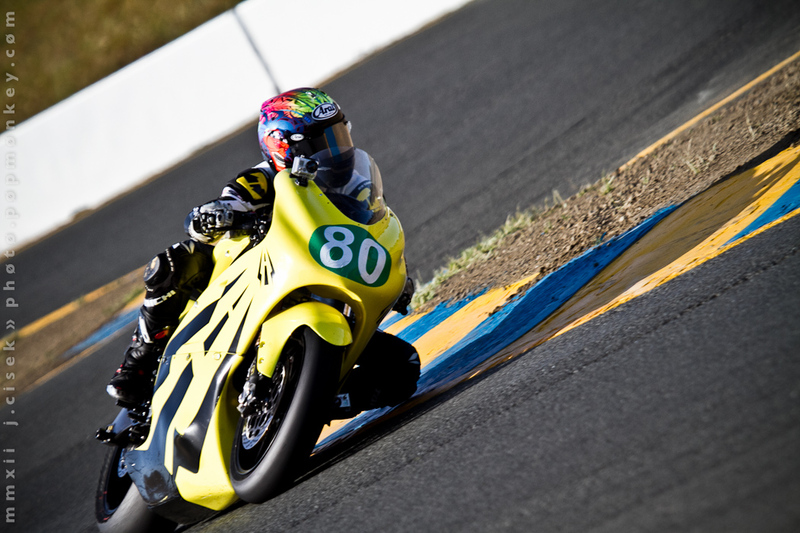 II Flying Bananas, and four Zero S street bikes, the first act of contrition at the Sonoma track came just three laps into the practice session on Friday. 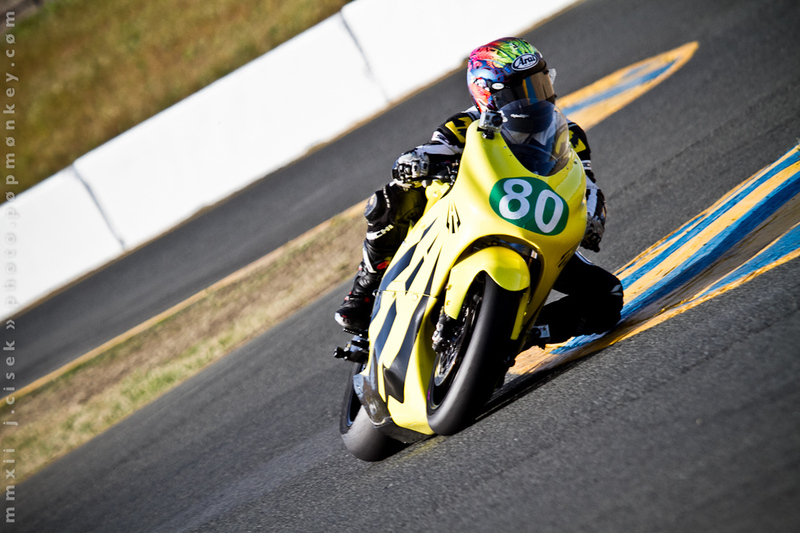 A few hours after its debut in Wine Country, Steve Atlas highsided and made a mess of his Empulse RR race bike in Turn 7 of Sears Point. Fracturing six vertebrae in the incident, Atlas is expected to fully recover over the next six weeks or so. Working through the night, and driving parts down from Ashland, Oregon, the Brammo race team was able to rebuild what was left of its race bike, and a few hours before the qualifying session, was able to convince Steve Rapp to take on riding duties for the electric motorcycle team. That move would cost the California native though, as again in Turn 7 the Brammo Empulse RR highsided. With the Empulse RR cutting out and causing Rapp to stop on the main straight mid-session, the race telemetry showing the rear wheel spooling up, Rapp reporting he was straight up and down when he lost grip, and the Empulse RR leaking fluids after the crash, the ultimate result is that the Attack Performance Superbike rider has likely broken his hand, and will be a scratch for all of Sunday’s race. Finishing sixth in the first AMA Superbike race, Rapp’s absence will be felt by all race fans tomorrow, and for electric racing fans, it is not certain that Brammo will race in tomorrow’s two TTXGP races. Without a rider qualified rider that can still swing a leg over a bike, it’s not clear whether TTXGP will allow Brammo to field a third rider for Sunday, presuming the team can rebuild its bike a second time. This means Sunday’s TTXGP double-header will basically be two spec-races, one between the two Lightning bikes, which are seven seconds apart after today’s sessions, and the other spec class being between the four Zero S street bikes. The pair of Lightnings will be an exposition of speed, though aren’t expected to lap in any proximity to each other. Contrast that with the Zeros, which won’t be lapping Sears Point very quickly, but there should be a good scrap between a few of them.